Invasive non-native species can have a damaging impact on native plants, animals and ecosystems – by spreading disease, competing for habitat and food and direct predation. 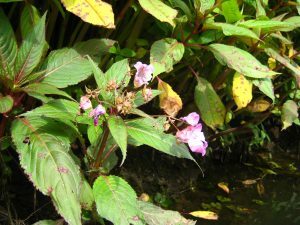 Plants that grow profusely can block waterways while some animals can damage riverbanks – so they also affect economic uses of our environment and add significant management costs. As a water user, you may unknowingly be helping to spread invasive species from one water body to another in equipment, shoes and clothing. Help stop this happening by following three simple steps: Check, Clean, Dry. Dry all equipment and clothing – some species can live for many days in moist conditions. Make sure you don’t transfer water elsewhere. 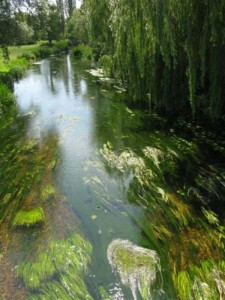 As industry along the Stour has declined, so water quality had improved. For example, when the St Mildred’s Tannery site in Canterbury finally closed in 2002 it marked the end of over 200 years of tanning and leather work in Canterbury. The process of tanning, along with other industries, polluted the Great Stour with chloride, sulphate, ammonium, phenols, hydrocarbons and land gases. There was also the potential of heavy metal spills, such as lead, mercury, cadmium and copper, which is extremely toxic to aquatic life. Water was sometimes used in the cooling process, which lead to warm water being released into the river which has a low dissolved oxygen content – again very bad for aquatic invertebrates. However, it wasn’t just industries that polluted the Great Stour. Raw sewage and drainage systems used to flow directly into the river too, meaning little could survive in such conditions. Now, however, water quality has improved tremendously, and inflows are strictly monitored by the Environment Agency to ensure the Great Stour remains clean and supports a diverse range of aqualtic life. You can help ensure the river remains clean by reporting pollution to the Environment Agency’s EA incident hotline on: 0800 80 70 60. About 2,000 properties – residential and commercial – are at risk of flooding from the River Stour in Canterbury. Investigations have shown that reducing the amount of weed in the river reduces the risk to many of these properties. The Environment Agency cuts weed in the river between mid-July and October as this has least impact on the natural environment (eg nesting birds, fish). Not all the weed is removed; some is left to provide shelter for wildlife. Cutting the weed can also help maintain the flow, providing gravelly glides that fish like. To reduce the environmental impact, weed is cut by hand wherever possible; where it is too deep or access is impracticable, a weedboat is used. It is appreciated that weed dies back naturally over the winter. However, flooding can occur at any time – a flood in October or November would be much worse if the weed was not cut. Letting the weed die naturally would also mean that the weed would be displaced over a longer period of time and could block water level control structures. 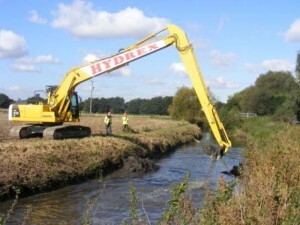 As well as cutting weed, other tasks are undertaken that can help reduce flood risk, such as clearing blockages, cutting back trees and operating water level control structures. We also work with farmers and the water companies to reduce the amount of nutrients that enter the river and make the weed grow. You can help reduce flood risk by reporting blockages to the Environment Agency’s EA incident hotline on: 0800 80 70 60. You can find out if you are at risk of flooding by visiting the GOV.UK website.